Below is an icon of Saint Sophia and her three daughters (Faith, Hope, and Charity). It's so cute! I hope someone who is knowledgeable about iconography can answer a couple questions I have about it. Are the three girls wearing veils in this icon? Looking at their shoulders, it seems as if they have white veils. But the tops of their heads look brown (like hair) to me, not white! What's going on? Is this just because the image is faded? 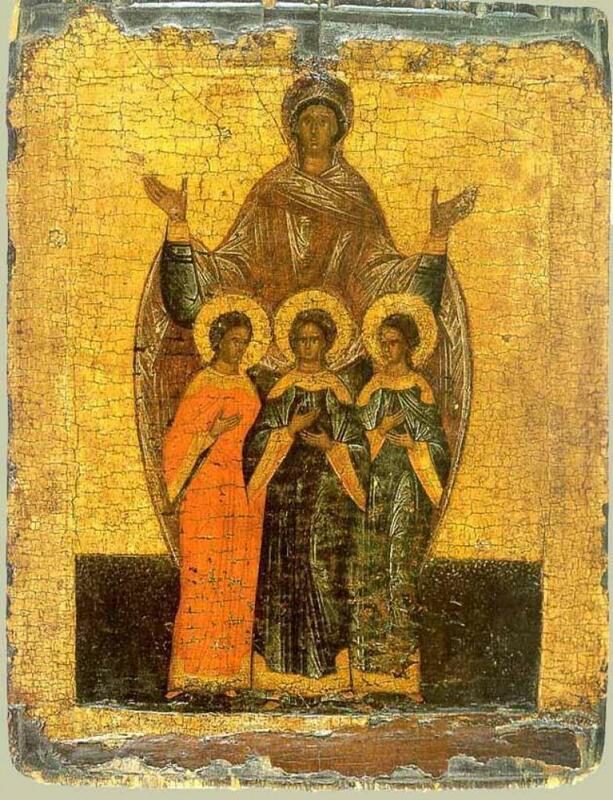 There are a wide variety of icons of St. Sophia with her three saintly daughters as your link points out. In the icon I placed above St. Faith is in the middle because she is the eldest and thus the senior child. St. Hope is standing to the right of St. Faith and St. Charity is standing to the left of St. Faith. This is in fact the traditional way of placing individuals according to seniority. An Abbot has his prior seated at his right side in the refectory and the subprior is seated at his left side. It's tradition. 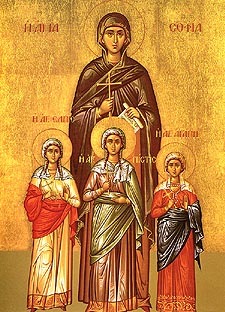 The more ancient icons of St. Sophia and her daughters would definitely follow this order even when the daughters of St. Sophia are not named and appear to be of the same height. Modern artists may not follow this tradition way of placing saints in an icon. But the icon you posted is of a certain antiquity and St. Sophia's daughters are from left to right: St. Hope, St. Faith and St. Charity. St. Sophia's daughters are not wearing veils in your icon but their heads are surrounded with golden halos. In iconography the color gold represents the presence of God. Not the answer you're looking for? 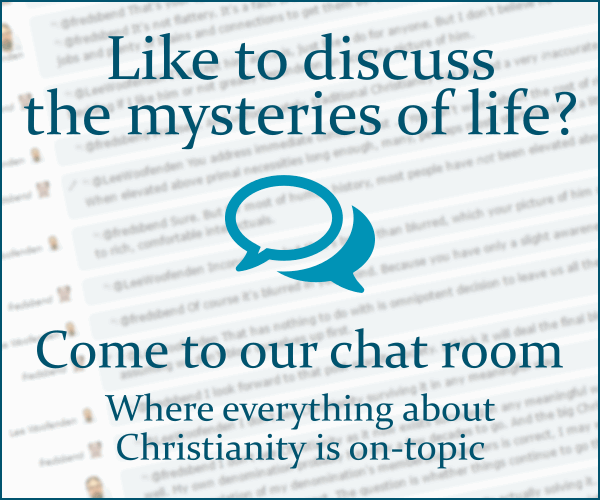 Browse other questions tagged catholicism eastern-orthodox saint art iconography or ask your own question. Why does a beheaded saint have the halo above the stump? Is an icon of Christ without a cross in the halo Orthodox Christian? “Blessed Virgin” - not Saint? Identifying a Saint on a Greek icon? Does any one know about this painting?